Former Vice-Chancellor, Swinburne University of Technology. 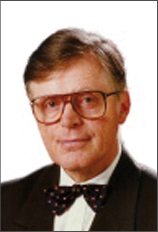 During the last 30 years Professor Wallace has held a series of academic appointments in the UK, USA and Australia. Throughout this period, he has engaged in fundamental research in the broad areas of cognitive psychology, cognitive science and neural science. This work has resulted in the publication of three books and over 100 shorter publications.